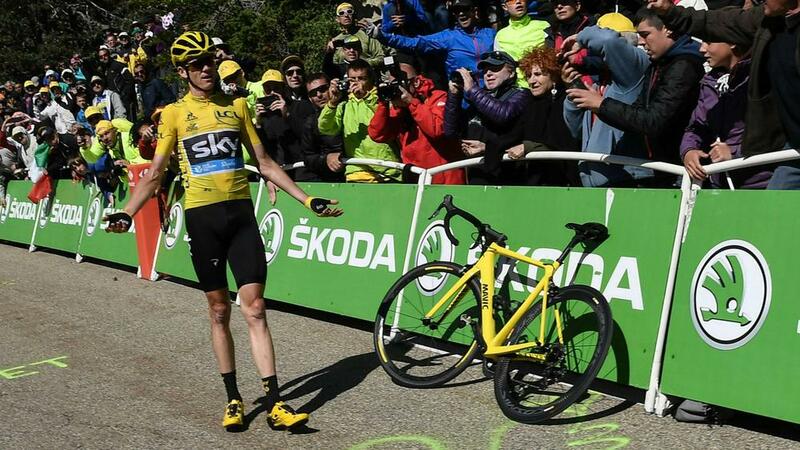 Chris Froome will retain the yellow jersey despite provisionally falling 53 seconds behind Adam Yates in the general classification following a collision in a dramatic end to stage 12 of the Tour de France. On the final ascent of Mont Ventoux, Richie Porte (BMC Racing) rode into the back of a motorbike as it stopped suddenly and Team Sky's Froome and Bauke Mollema (Trek-Segafredo) were caught up in the pile-up. Damage forced Froome to run up the hill in a bid to keep the time lost to a minimum, before crossing the line on a replacement bike having already switched to a neutral one. The provisional classifications suggested Yates (Orica-BikeExchange) would assume the overall lead for stage 13, but, following a review, Froome and Porte were given the same time as Mollema, who managed to get away from the incident quickly and finish 10th.